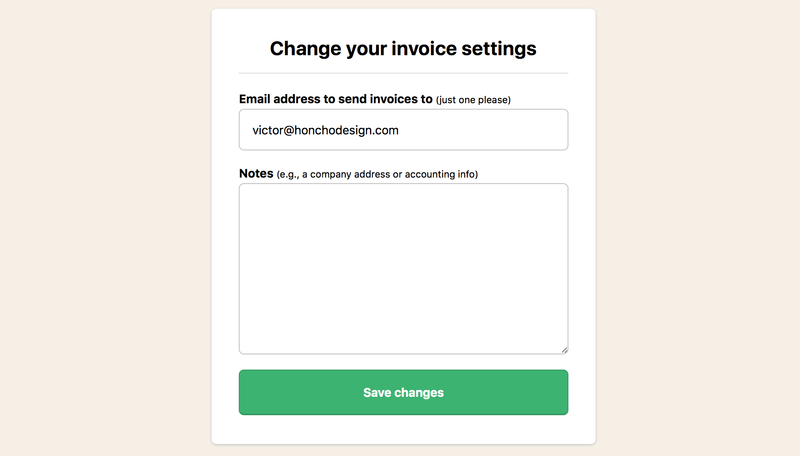 Once in Adminland, you'll want to select the "Handle Billing & Invoices" option. If you're wondering about cost, please check out our current plans and prices! We charge you for your Basecamp account on a monthly or yearly basis. Sometimes, though, you'd rather pay on your own timeline. Lump sum payments can help! 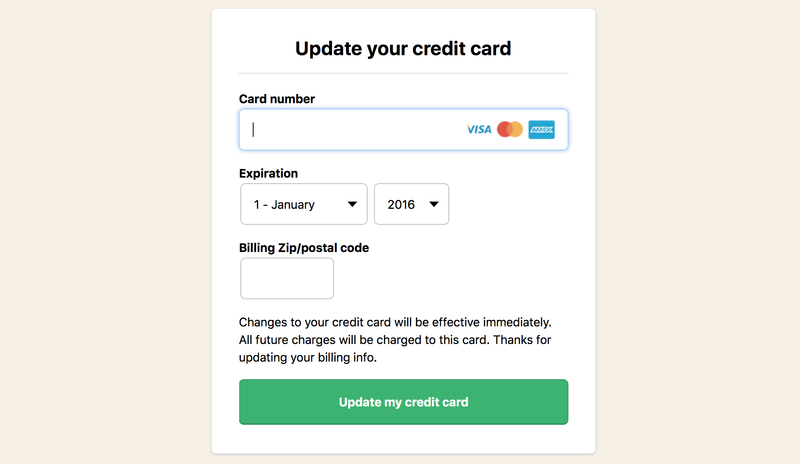 You select how much you'd like to pay up front, and we'll add the credit to your account balance. Any charges are withdrawn from your credit balance first, you'll get an invoice each time as a reminder. We'll also give you a heads up when the balance is running low. And you'll see your new credit balance! Then enter their email address instead of your own, and add any notes they might need! End of the year bookkeeping? 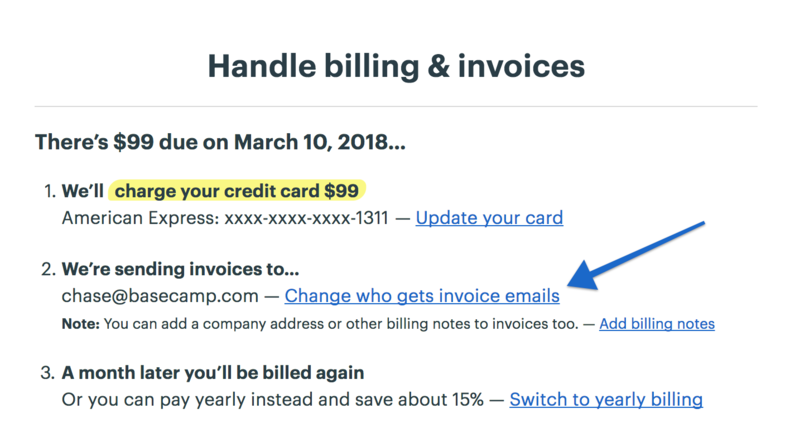 You can grab all your past invoices anytime, just scroll down and click the month you're looking for — you'll get a plain-text copy of your invoice. Basecamp is free for teachers & students and10% off for non-profits. You can read more about the qualifications and how to reach out to get a discount added to your account here. Bad refund policies are infuriating. You feel like the company is just trying to rip you off. 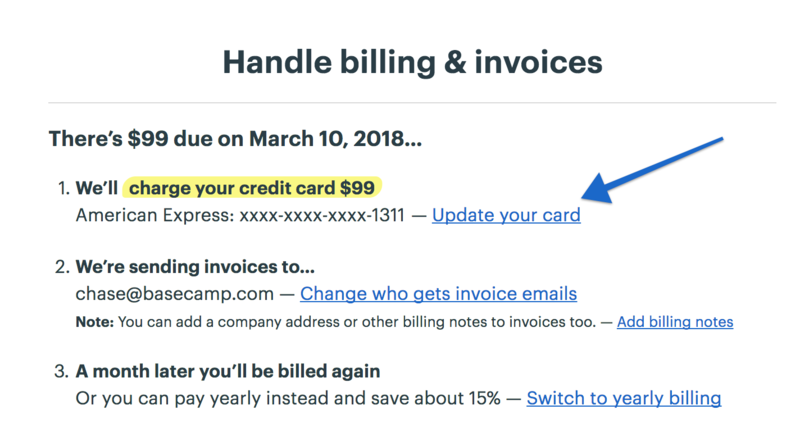 We never want our customers to feel that way, so our refund policy is simple: If you’re ever unhappy with Basecamp, for any reason, just contact our support team and we’ll take care of you. Read more about our refund policy here. Are you seeing a message that says your Basecamp account is frozen? Don't worry - your account is still safe and sound. The Basecamp account owner was notified when the account was frozen. If your account owner is no longer available, please contact our support team. We'll gladly help you get back up and running! Only account owners can handle billing and invoices. If the current owner of your account isn't available, read our account ownership policy.